Dutch designer Iris van Herpen used one to send collections down the runway. Mink hopes you'll rely on one to create custom makeup at home. Andrey Rudenko is optimistic that he can use one to help him build his next home. And soon we'll create new human organs with them. The mysterious agent of change I'm referring to is 3D printing, of course. Though these machines were previously accessible to only a small group of wealthy hobbyists, that's no longer the case. As 3D printer prices have decreased and accessibility has increased, it seems like the possibilities are endless. But before each home has its own 3D printer, the technology is poised to dramatically impact how the industries we depend on manufacture the gadgets -- and everything else -- we know and love. Also known as additive manufacturing, 3D printing is making an object layer by layer. How does that differ from the usual methods? Simple: Traditional manufacturing takes material away to create a desired shape. On a macro scale, 3D printing is already transforming the way goods are manufactured in the US. According to a report released by data group PwC US in conjunction with The Manufacturing Institute, when over 100 industrial manufacturers were surveyed, it was revealed that two-thirds were already implementing 3D printing either experimentally or by already using it for prototypes or final products. Early 3D printers were expensive, and difficult to handle without special training. 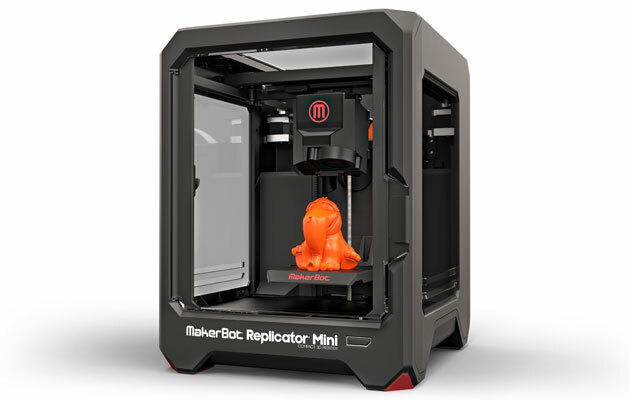 But with companies like MakerBot and 3D Systems offering personal 3D printers, home manufacturing is now reality. With a little bit of an investment at the outset, you can now make parts for an appliance at home, a pair of glasses, toys, jewelry, shoes and more. It's easy to imagine a marketplace in which, instead of buying an actual product online, you pay for the materials/intellectual property fees and make it on your own. It all starts with a digital file, the Computer-Aided Design file (one example seen above), which serves as the instructions for what to print. Think of the file as a blueprint. The machine then prints layer after layer of plastic, metal, nylon or another of the many materials that can be used. These layers eventually create the final shape. There are several different methods that can be used to 3D print, depending on variables such as what material you want to use and how much you want to spend. The most common is Fused Deposition Modeling (FDM). With this method, an object is produced by use of melted thermoplastic material to form layers. Each layer stacks on top of and fuses with the previous layer as the material hardens almost immediately to create a 3D object. Well, 3D printing offers manufacturers in the US the opportunity to actually manufacture in the US. With clothing, for example, 3D printing offers hope that clothing could be assembled in the United States -- a rarity in the garment business. Why is this important? A variety of factors, least of all working conditions (think: the Bangladesh factory that recently collapsed, killing over a thousand garment workers). And it offers the possibility of the return of manufacturing jobs to an ailing US job market. On a less serious note, 3D printing also offers far more room for personalization than traditional manufacturing. Let's say you have a 3D printer of your own and you purchase the file for a pair of shoes. Other than the general shape the shoes will take, there's a lot of room to make personal choices about aspects like color and the way the shoe fits. Or maybe you want to add some sweet wings? Go right ahead and add those sweet wings, friend. There's no getting around it: 3D printing is likely the future of counterfeiting. For those not familiar, counterfeiting is using someone's trademark (e.g., brand name and/or logo), for example, and passing it off as the real thing. If you live in New York (like us!) or another major city, just think about the folks selling "designer" bags out on the street. 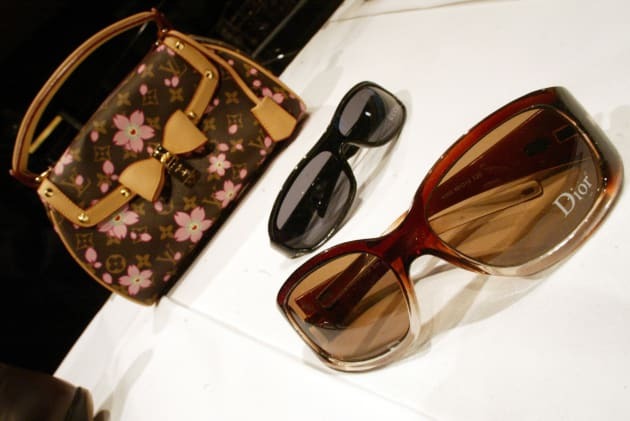 Counterfeits -- unlike knockoffs -- are always illegal, and they're a huge concern for both companies and consumers. With high-fidelity 3D printers, someone could easily create a pair of Ray-Ban Wayfarers, and the result would be a pair of glasses that's hard to distinguish from the real thing. Individuals doing this for their own use could impact a brand's bottom line, but the real nightmare is counterfeiters who have access to those printers. The customer gets ripped off -- having bought fake sunglasses -- and Ray-Ban (well, Luxottica) loses out on some cash. Nobody wins! That situation gets much more serious when you move beyond the world of luxury goods into more basic goods. If you're not sympathetic to multibillion-dollar international corporations losing dough because of 3D printers, consider this: Counterfeit items are more that just intellectual property theft, as they can also be dangerous. These items don't go through any sort of official inspection, so there's no telling what materials or chemicals might be used in creating items for sale. And while 3D printing is good for manufacturing in the sense that prototyping and production can be done locally, there may be a downside for workers involved in the manufacturing process. If more and more manufacturers start relying on 3D printers as opposed to workers to make goods, some jobs could become obsolete. Make is for makers, but it's also a great place to get started with 3D printing as it stands now and to read up on the community of makers supporting it. But perhaps you're feeling far more serious? The Massachusetts Institute of Technology has a class on the subject. Okay, okay -- that's probably too much. For a more introductory approach, the folks at MakerBot have a vast array of videos on the subject. And if you're audio-inclined, Josh Clark and Chuck "Chuckers" Bryant of Stuff You Should Know fame just recently did an episode on 3D printing.